We can only hope that a few years down the line England are kicking themselves for having not gone all out to secure the services of Ben Woodburn. The 17-year-old was born in Chester but has already played for Wales between U15 and U19 level and could be about to cement his international allegiance once and for all. 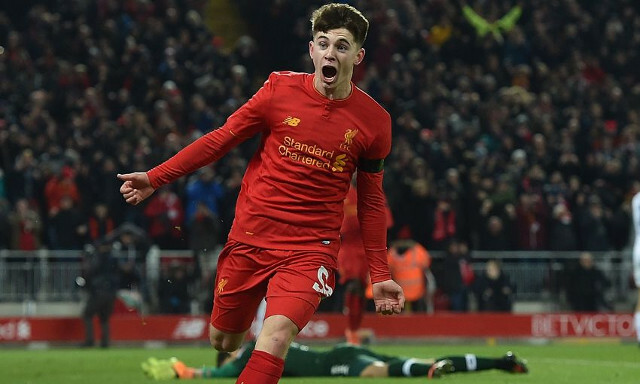 Woodburn’s rise to stardom has seemingly not only sparked excitement amongst Liverpool fans but also those affiliated with the Welsh international set up. “Wales boss Chris Coleman is reported to be considering 17-year-old Woodburn for a senior call-up when he names his squad to face the Republic of Ireland on Thursday,” Sky Sports reported. A senior debut for the teenager would see him become the third youngest ever to achieve such a feat, behind Gareth Bale and the current front runner and Woodburn’s Liverpool team-mate Harry Wilson. Confirmation of his loyalty to Wales always seemed like a matter of time yet there had also been murmurs of the idea England may try and compete for him. That now seems an impossibility. It has been an incredible season for the youngster who surpassed Michael Owen to become the club’s youngest ever goal scorer with his EFL Cup strike against Leeds. While there continues to be a lot of enthusiasm surrounding what he is capable of, Jurgen Klopp remains to be protective of his player. Let’s hope Wales do the same.